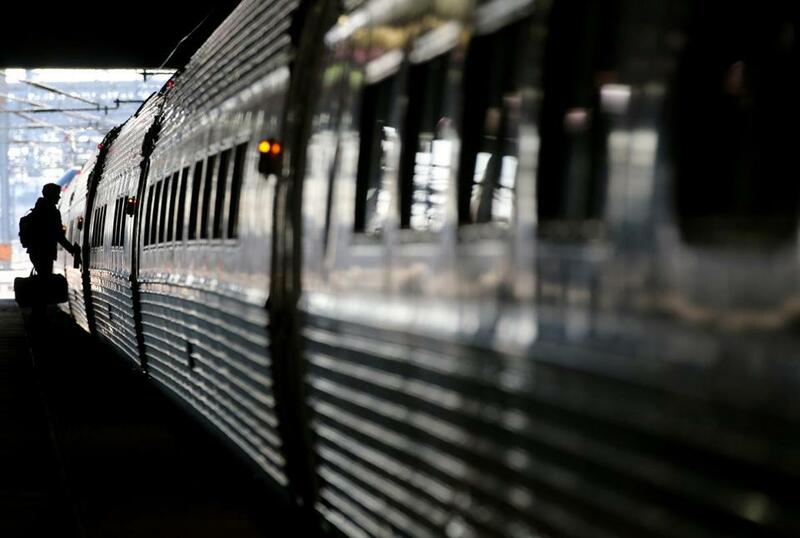 A passenger boarded an Amtrak train at South Station last year. Amtrak is threatening to cut rail service from Boston to New York and Washington, D.C., a nearly unthinkable move that would upend countless commutes, because of a legal dispute with the MBTA. While it’s highly unlikely it will ever be carried out, the threat filed in court by Amtrak this week is the latest salvo in an increasingly contentious lawsuit initiated by the MBTA in January. After Amtrak requested nearly $30 million from the MBTA for maintenance it performs along the tracks, the T sued Amtrak, alleging it was violating an existing agreement. In a counterclaim, Amtrak now says the MBTA itself is violating part of that agreement by refusing to pay for additional maintenance outside of the money Amtrak has already requested — and that the T owes Amtrak at least $175,106 more. Faster train travel would unlock huge economic growth, save money on highways and airports, and reduce greenhouse gas emissions. MBTA officials say the claim is probably an empty threat from Amtrak, which counts Boston as a crucial link along the hugely popular Northeast Corridor. Boston’s South Station was Amtrak’s sixth busiest station in 2015, providing 1.5 million rides, according to Amtrak statistics. “The MBTA has absolutely no reason to believe there would be a disruption in service for Amtrak customers in Massachusetts,” Joe Pesaturo, a spokesman for the MBTA, said in an e-mail. But Christina E. Leeds, an Amtrak spokeswoman, said in a written statement Friday that the MBTA’s failure to pay the millions in maintenance costs “will threaten the viability of all train service on the corridor.” She said Amtrak expects the court and the federal government to require the MBTA to comply. Amtrak’s latest filing was first reported by the Boston Business Journal. 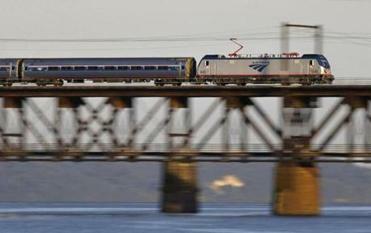 The threat to cut service also comes amid recent efforts by the Obama administration to boost Amtrak funding. On Friday, Vice President Joe Biden announced that the government will give Amtrak a $2.45 billion loan to upgrade its trains, tracks, and platforms along the bustling Northeast Corridor. Amtrak’s maintenance work on the Northeast Corridor has big implications for riders of both Amtrak trains and the MBTA’s commuter rail lines run by the French company Keolis Commuter Services. Over the past year, the MBTA has repeatedly blamed major disruptions at South Station on Amtrak’s maintenance work, particularly a malfunctioning signal system that has become a regular source of headaches for commuters. In April, Transportation Secretary Stephanie Pollack said the MBTA might pursue fines against Amtrak in a new contract. The dispute stems from the so-called Attleboro agreement. Under a deal signed in 2003, Amtrak has used, maintained, and dispatched trains on the Attleboro line — MBTA-owned tracks between Boston and Rhode Island — in exchange for some dispatch and maintenance services. But after a federal policy change in 2015 required states to help pay for Amtrak’s work on the tracks along the Northeast Corridor, Amtrak asked the MBTA for nearly $30 million a year for maintenance and dispatching costs. MBTA officials have pointed out in the past that most of the other states do not own the tracks used by Amtrak. In response to the charge, the MBTA sued Amtrak and the commission that developed the new rule, saying Amtrak would be in breach of an agreement between the two entities, and that the new policy was unconstitutional. In that lawsuit, the MBTA pointed out that Amtrak agreed to be solely responsible for track maintenance and improvements that benefited its own rail service. That led Amtrak to terminate the agreement with the MBTA, and the two have been negotiating as the lawsuit continues in district court. This week’s filing from Amtrak suggests that those discussions have hit a major snag. In the filing this week, Amtrak claims that the MBTA is violating the Attleboro agreement by refusing to reimburse Amtrak for some additional engineering, maintenance, design, flagging, and construction services that it says it is owed. In the filing, Amtrak says the agreement allows the MBTA to request some maintenance services from Amtrak for a cost. The MBTA owes Amtrak at least $175,106.27 in unpaid, past-due invoices plus interest, Amtrak officials said in the filing. He said Amtrak hasn’t been able to provide proper documentation for some of the work, and that Amtrak has also failed to pay the MBTA for fees associated with its Downeaster service that takes riders north to Maine, or the installation of the train schedule board at South Station that includes information for both Amtrak and commuter rail trains. As the MBTA and Amtrak continued to bicker, some regular Amtrak riders at South Station on Friday were worried about any potential disruptions in Amtrak service. Camilla Gomes, a medical student who lives in Boston, said she uses Amtrak’s Acela train at least once a month to visit her hometown in Connecticut. But others were more skeptical. Micheline Francois, a Long Island resident who took an Amtrak train to Boston for a wedding, said Amtrak would never pull out of Boston.